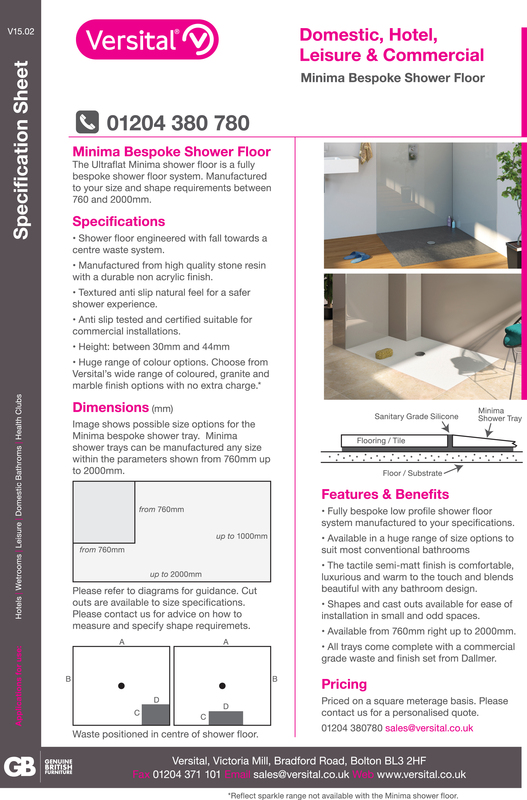 The Ultraflat Minima shower floor is a fully bespoke shower tray system. Manufactured to your size and shape requirements between 760 and 2000mm. Small areas, odd shapes and wet rooms with 100% waterproof standing area. All Versital bespoke shower trays are certified category 2 anti-slip, being a safer slip resistant choice for your bathroom. Versital custom made shower trays and the Minima Shower Floors are ideal for creating a wet room style bathroom with an easy to install shower system. A rimless shower tray for a seemless wetroom look. Manufactured by hand to your specification you can choose the size and shape of your shower floor, with shapes and cut outs available to fit awkward corners in bathrooms. Over 90 Colour Options available to choose from including in the price, including granites, stones and marble finishes. A Versital bespoke shower tray is manufactured by hand to your requirements. You can specify any size between 760 x 2000mm with cut outs available. Versital made to measure shower trays solve many problems with wet rooms and large shower areas. This can prove a cost effective solution with issues such as leaking wet rooms, broken seals or broken shower trays. The problem can be dealt with in the locality of the shower area by installing a beautiful low profile, purpose made shower tray, whilst leaving the rest of the wetroom untouched. And with Versitals huge range of colours, there is sure be one that will match or compliment your existing room. 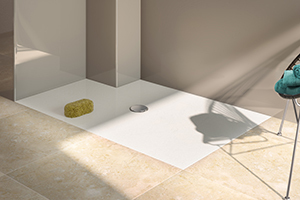 The Minima low profile shower floor is rimless for a flat wet room look. Tile straight up to the edge of the shower floor for a seemless finish. 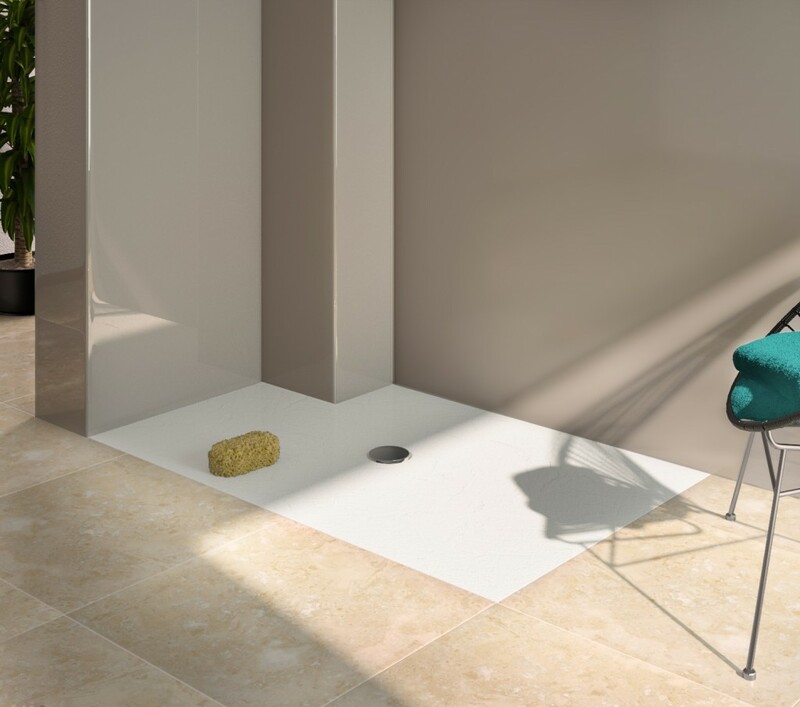 Versital bespoke shower trays are manufactured with a protective gel coat which makes them 100% nonporous, stain resistant and hygienic – making them perfect for commercial and domestic application alike. For a complete wetroom style shower and bathroom, complement your bespoke shower tray with matching or complementing resin shower panels available in the same high quality stone resin finishes. Take a look and get a personalised shower panel quote. As each made to measure shower tray is unique, prices vary dependent on size. For an instant estimate send off a quick quote form and we will come back to you within 3 working hours. If your requirements are more specific, you would like an personalised quote, or are a trade customer, please call us direct. All Versital shower trays are anti slip tested and certified suitable for commercial and domestic installations. 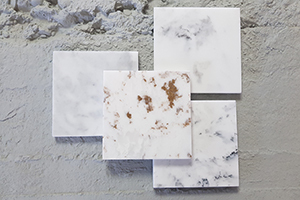 Choose from an extensive range of 90 true to life marble and granite finish options, and of course White. There are also a range of complementing bathroom products including matching shower wall panels and vanity tops. Please get in touch if you need a personalised bespoke shower tray quotation, or if you are a trade customer.